Personal training sessions are structured to maximize your personal fitness needs and goals. A friendly relationship with one of our trainers ensures you get on track and stay motivated. Your trainer will design each workout considering the frequency of your training, fitness level, athletic ability as well as fitness goals, both short and long term. Group training sessions have become very popular as working out with others is motivating, fun and cost effective. The experience is similar to that of a one on one session as our trainers have the ability to coordinate multiple clients while still giving personal attention. The trainer designs each workout considering the frequency of your training, fitness level, athletic ability as well as fitness goals, both short and long term. We work with teams of varying ages, sports and levels. 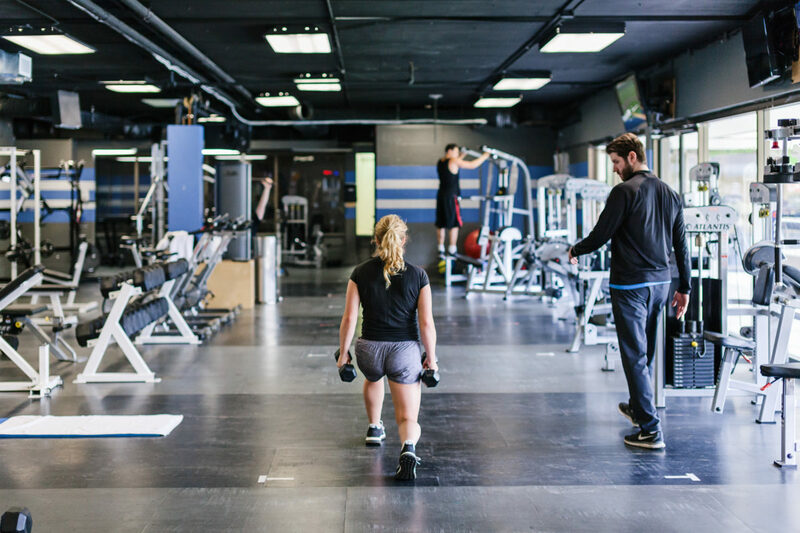 Our open concept Gym design + Athletes area allows us to train Teams efficiently and effectively. Each session is designed around the demands of your sport and the general athletic ability and age of your team. We offer individualized programs for those who prefer training on their own. The program is designed with consideration to the frequency of your training, fitness level, athletic ability as well as fitness goals, both short and long term. Price includes three sessions and the program design. Some clients prefer the privacy of their own home or simply do not have the time to train at our facility. We can travel to your home and still conduct effective, functional and safe personal training sessions. Each session will be designed around the equipment and space available.